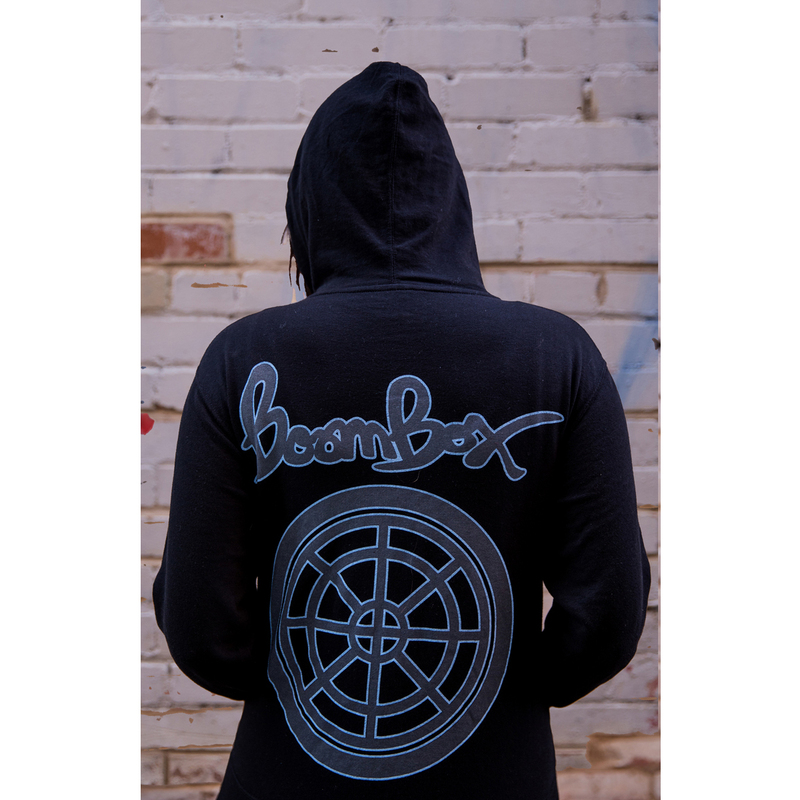 Printed on a comfortable slim-fitting, lightweight UNISEX zip-up hoodie. Features: Thumb Holes at the cuffs, third “media” pocket with headphone-port eyelet in front pocket. Love the hoodies!! Bought a second one for the missus after falling in love with the first one. BoomBox graphics are real nice. And the thumb holes on cuffs and the inner device pocket with metal grommet for ear bud cables are a nice touch. Have you thought about maybe offering other colors?